Visit our showroom to create a landscape design with Natural Stone. 250+ contractors to install your Natural Stone or Man-Made Stone. You will work with your Landscape or Hardscape PRO to get the job done. 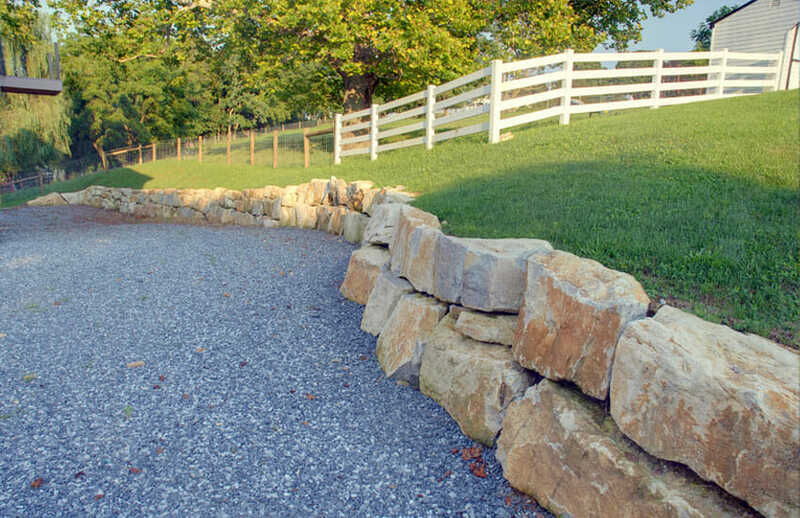 The new look with Outcropping Boulders will add a touch to your property. Improve the look of your property with Natural Stone Boulder and add lasting value to your home or business. Natural stones for your hardscape patio or hardscape driveway project offer a beautiful look without harming the environment and using resources for processing them. Can’t find the NATURAL STONE you are looking for? We carry engineered outcropping boulders that add aesthetic beauty to your hardscape or landscape project. Outcropping stones come in a variety of colors and options to choose from. Outcropping boulders, whether they are man-made or natural stone are a chore to install. Due to their size and weight a DIY Hardscaper will either need to rent the proper hardscape tools and equipment, or hire one of our 250+ pros to install the outcropping boulders.